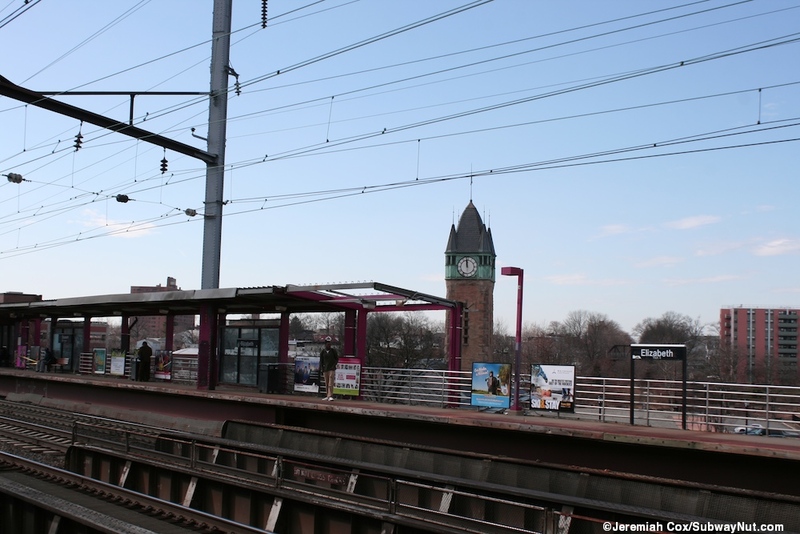 Elizabeth is a Northeast Corridor and North Jersey Coast Line Station with an interesting history. 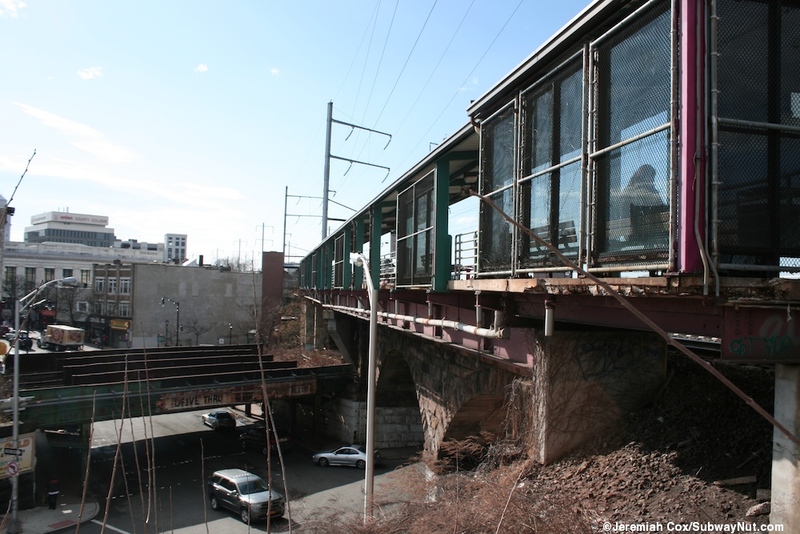 The stop is the location where two important and competing 4 track railroads crossed, the main line of Pennsylvania Railroad (which is the Northeast Corridor) and the now abandoned four tracks of the Central Railroad of Jersey. 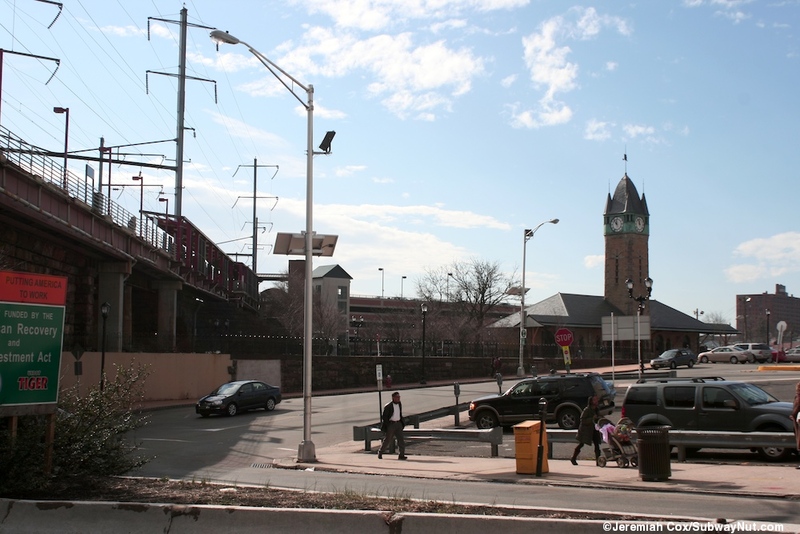 The historic 1893 or 1894 CNJ station house with its is clearly visible (even from a passing express NEC trains) just from the station platform. 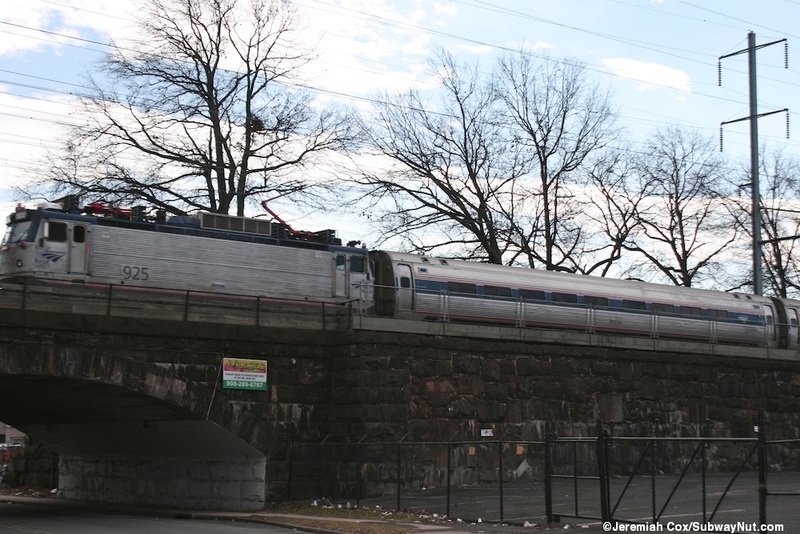 CNJ trains ran beneath the Pennsylvania Railroad here (and the station served as a transfer point) until 1978 with the bulk of service ending in 1967 when trains were rerouted via the Aldene Connection to Newark-Penn Station instead. 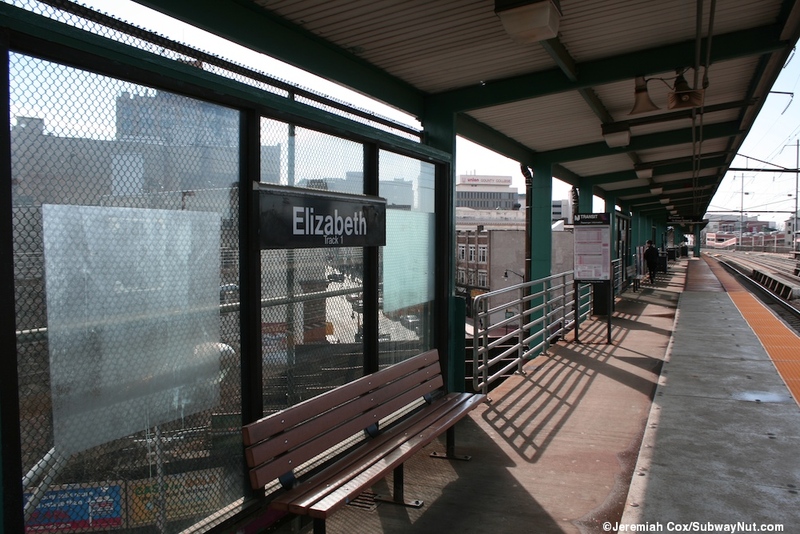 Another interesting tidbit of history is that Elizabeth is technically a former Amtrak station. It is listed in their timetables for a year, gone by June 1972. 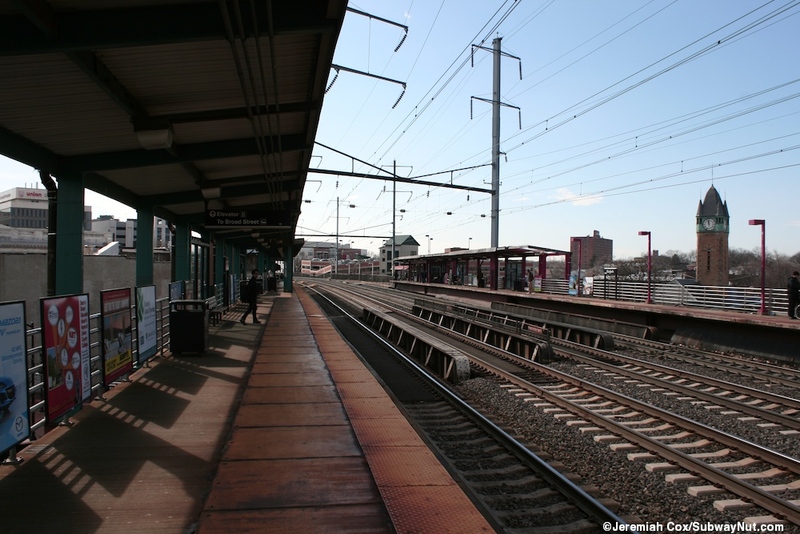 Direct trains to Philadelphia stopped at the station about once per day. 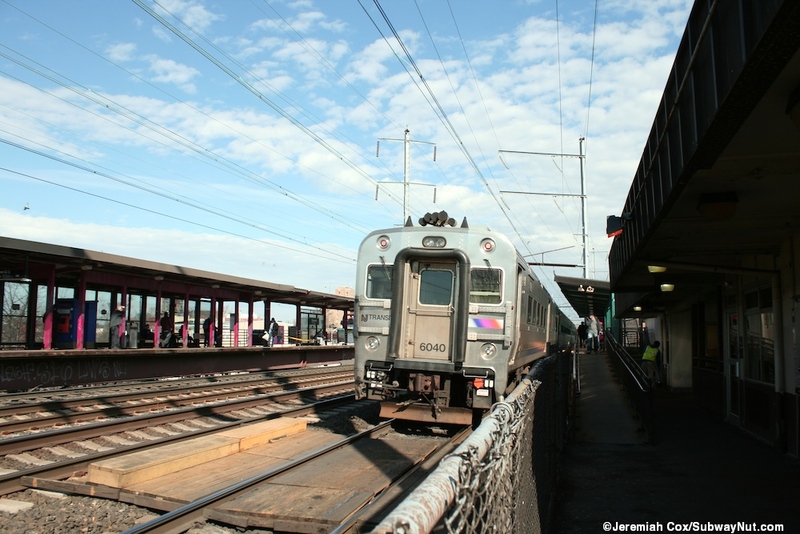 At that time Penn Central still operated commuter service (partially subsidized by NJDOT) which in 1976 under bankruptcy was merged into Conrail, a government funded corporation and New Jersey Transit began operating the trains on their own in 1983 when Conrail stopped operating commuter service. 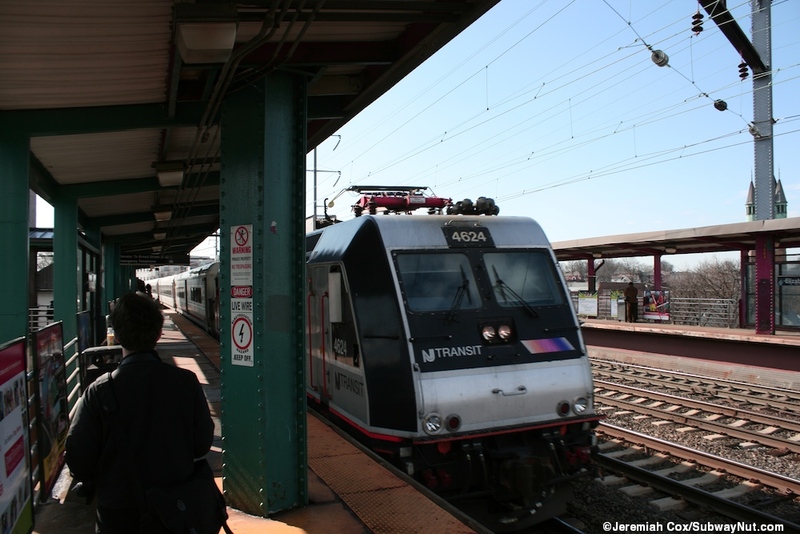 Today roughly two Northeast Corridor and one North Jersey Coast Line train stop at the station per hour on both weekdays and weekends. 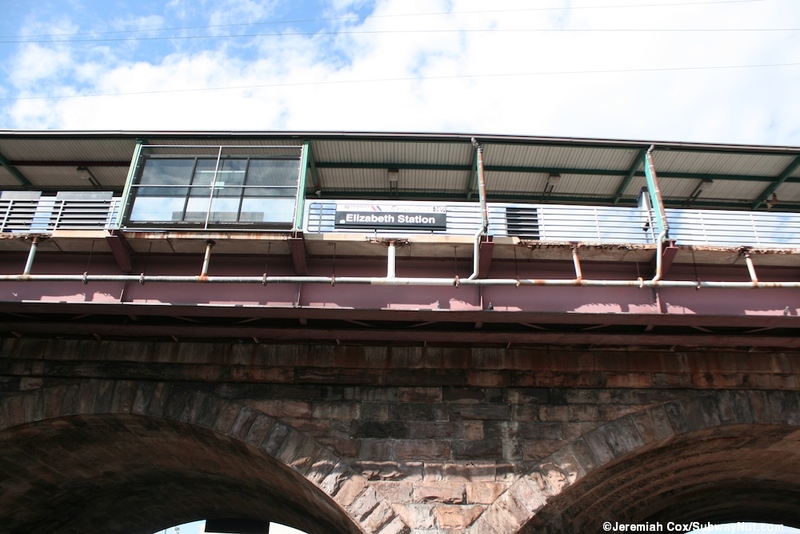 The station is located on a high, old stone viaduct elevated above the streets of downtown Elizabeth. The stop as two side platforms on what is a four track railroad. 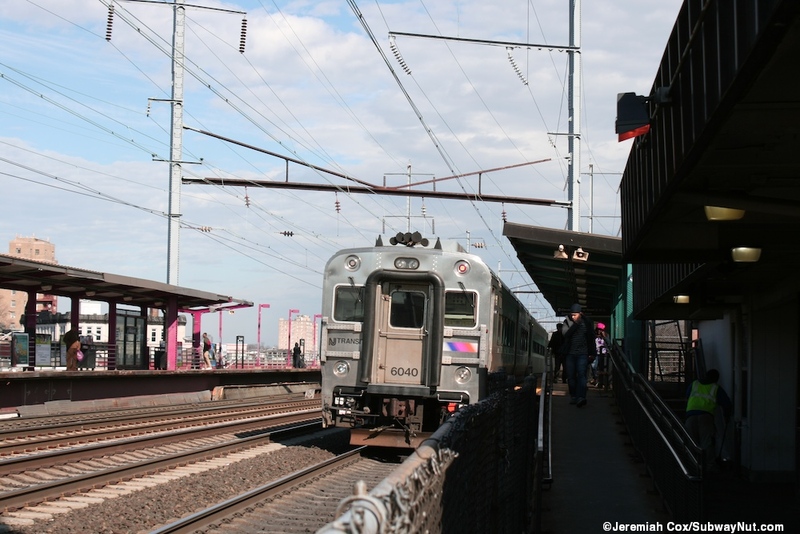 The station has the longest platforms on New Jersey Transit, this is because the southern half of them are former low-level platforms and fenced off by a five foot high fence (for about 8 car lengths). 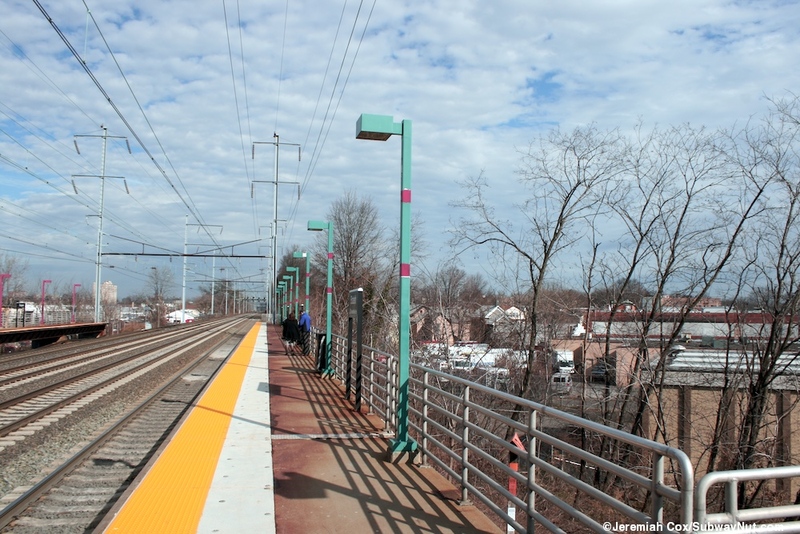 The high-level portions can platform 10 cars. 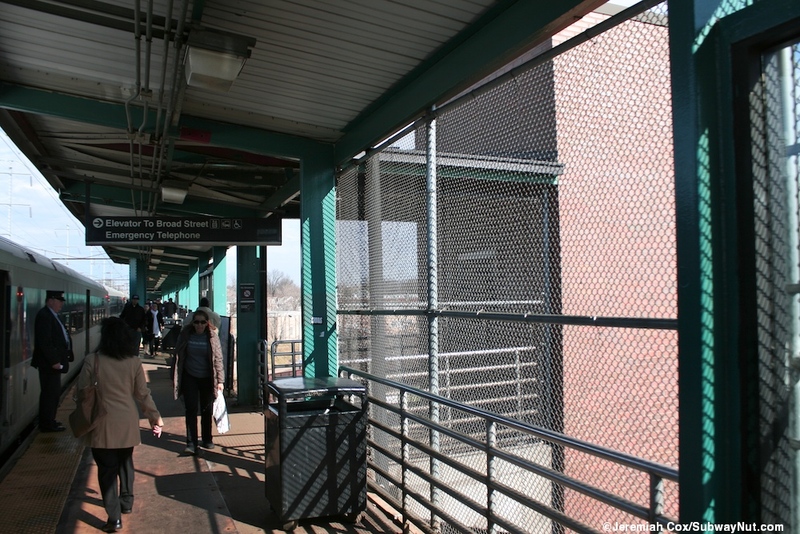 There are two gated off wooden boarding platforms in the low-level platform area in case of track construction. Our tour begins at the southern end of these low-level platforms. 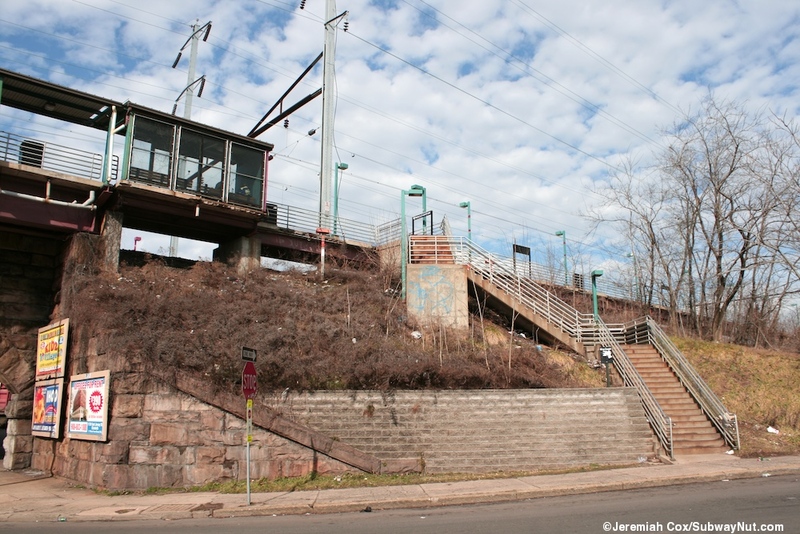 Here each has staircase up from Jersey Avenue (different one than the stop in New Brunswick with the same name). 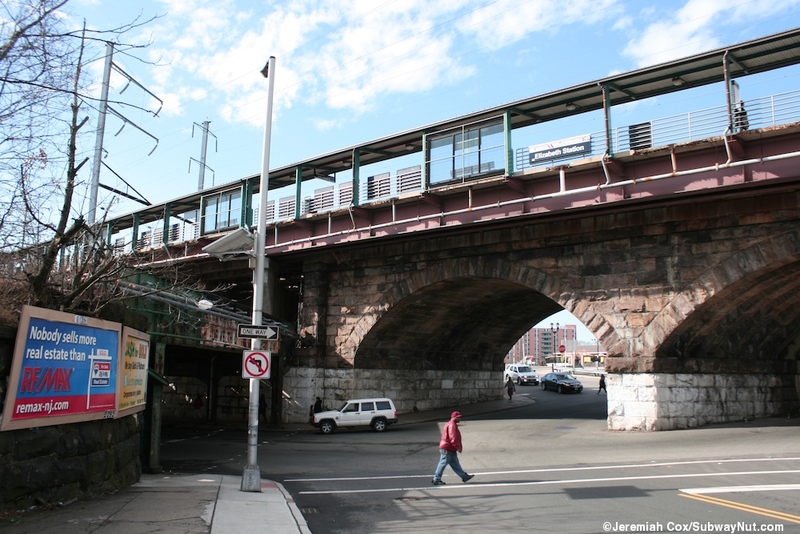 The low-level platforms run one block up to Grand Street where each has a staircase up to it from the southern side of the street. The north side of the street is beneath where the high platforms begin. 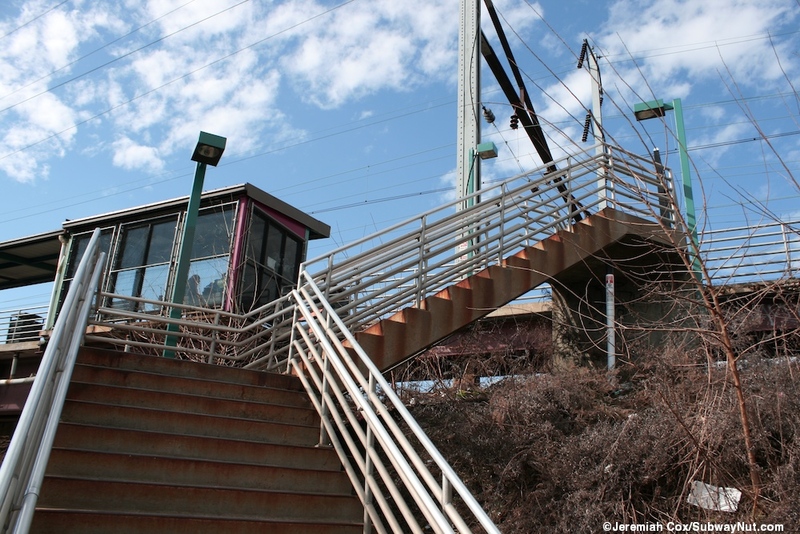 On the Trenton-bound platform it is quite simple there is a staircase (with a nice large canopy over it) just before the staircase up to the high-level platform. This is the main station entrance and connects to an arched pedestrian tunnel with blue and white walls beneath the viaduct. 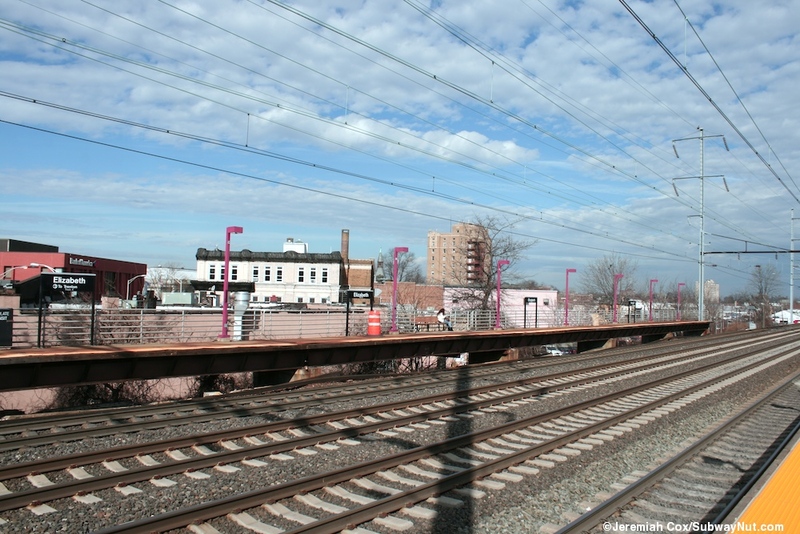 This is followed by the elevator and there are no other entrances to the Trenton-bound platform: it just canopied held up by pink supports for a quarter of its length before yielding to an exposed platform with a tactile warning strip and pink lampposts. 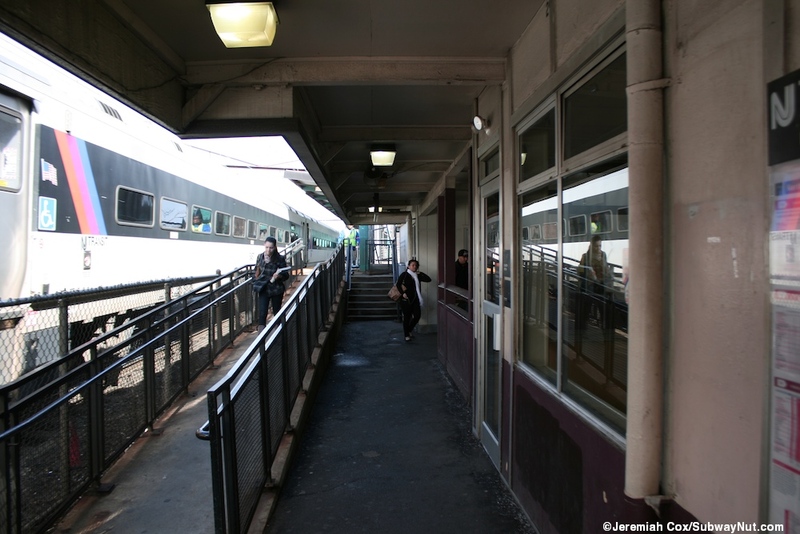 The New York-bound platform is a bit more interesting, it also has a staircase from the northside of Grand Street but this staircase leads directly up and right outside, making the building narrower beneath the black slightly arched roof of a nondescript 1970s or 1980s station house at track level. Inside this building is a convenience store, two ticket windows and a waiting room. 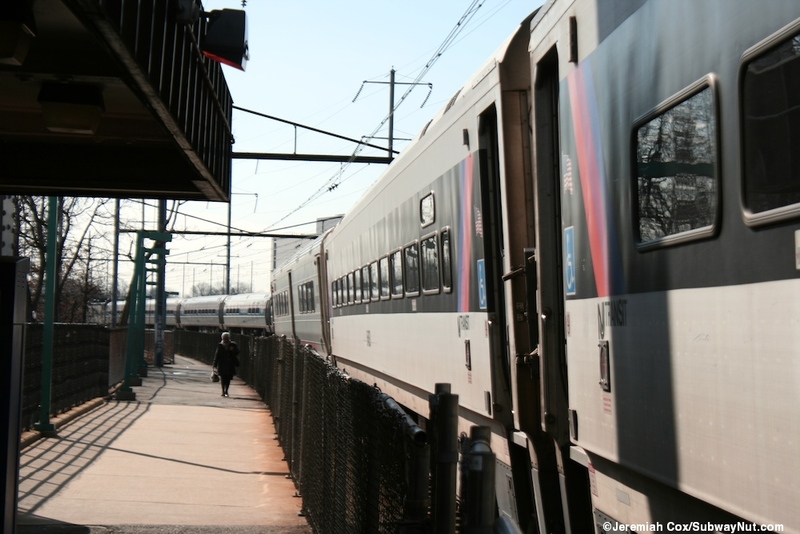 The ticket windows are still staffed and open 6am to 6pm weekdays and 6:30am to 2:30pm weekends. At this point the high-level platform begins and is canopied for a little over half its length. Its supports and lamposts on the exposed portions are green instead of pink. 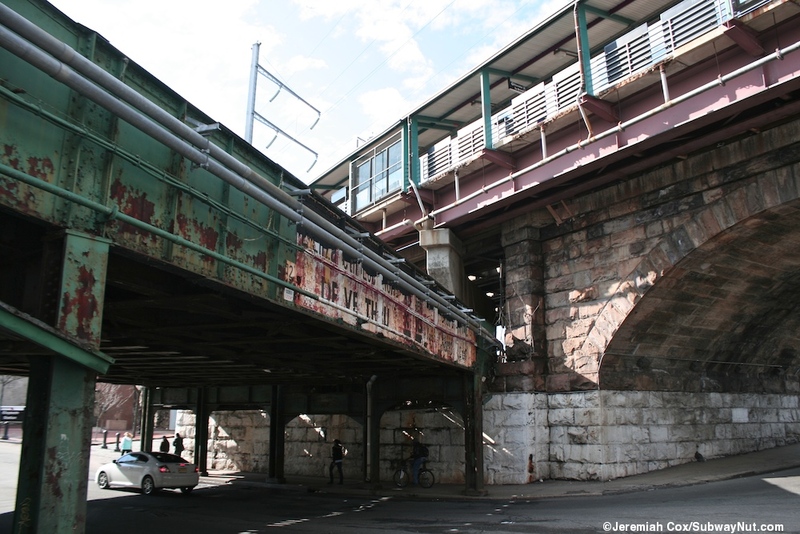 There are additional entrances at the confusing and angled underpass of Broad Street (where it splits to become North and East Broad Street). 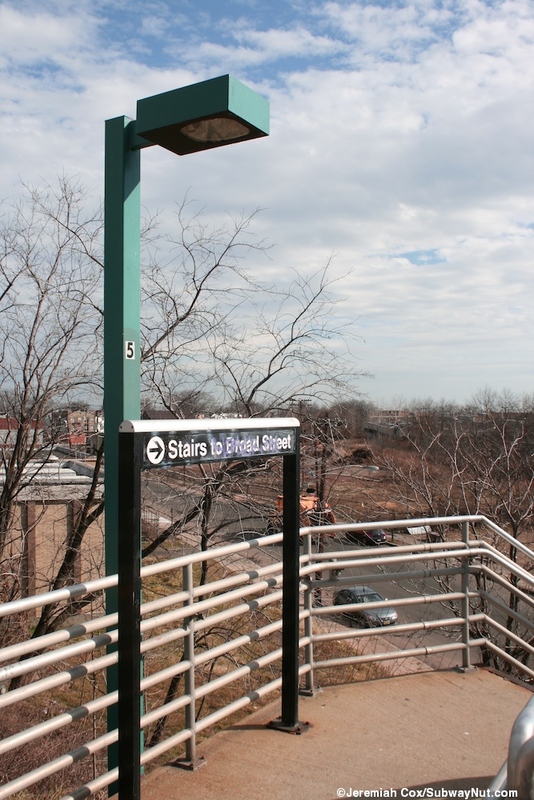 There is first the platform elevator along the southern side of the intersection and a long, exposed platform staircase (just after the canopy ends) from the northern side of the intersection.